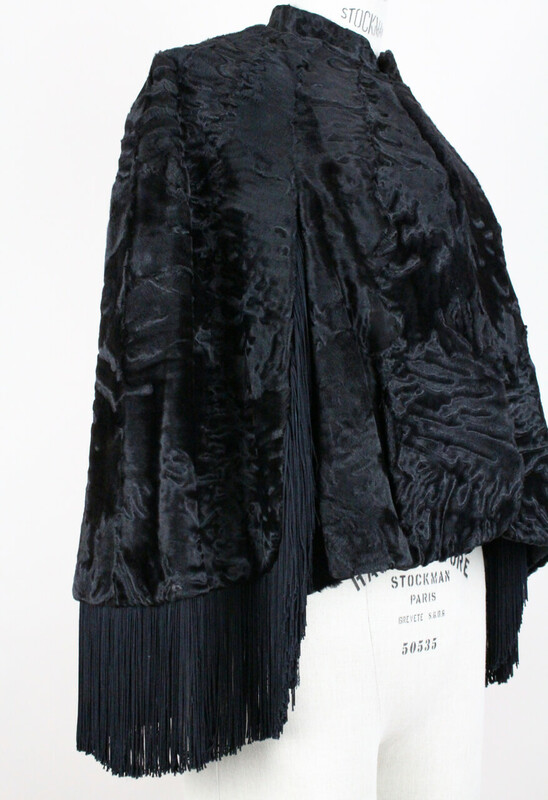 Exquisite black fringed Persian lamb cape by Bepe Création de Paris from the 1960s. 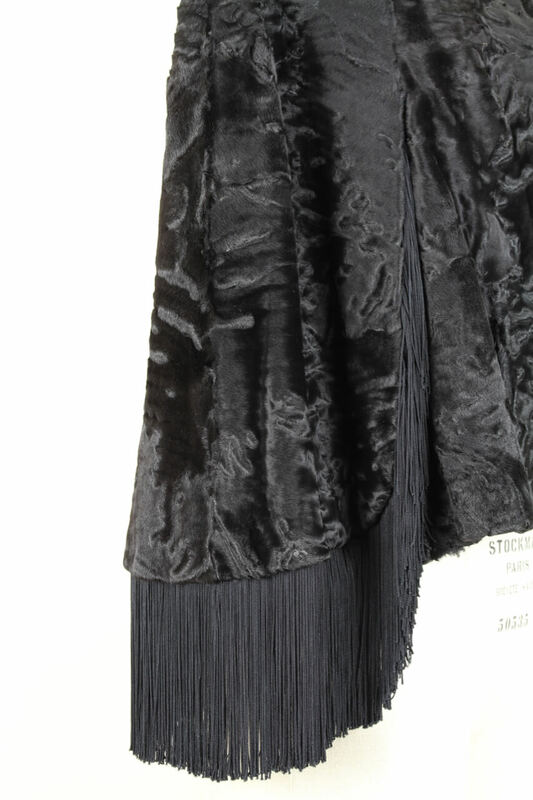 This one-of-a-kind 1960s BEPE CRÉATION de PARIS black Persian lamb fur cape features a remarkable fringe detailing. 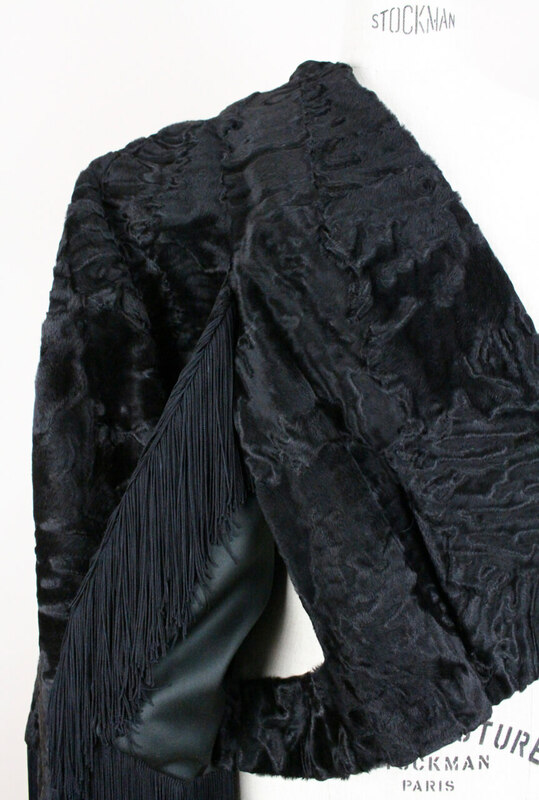 It shows a standing collar, small front pockets, excellently constructed armholes and sublime silk cord fringe edging starting from the upper part of the armholes around the back hem. Swings when you move and helps to add length at the back! 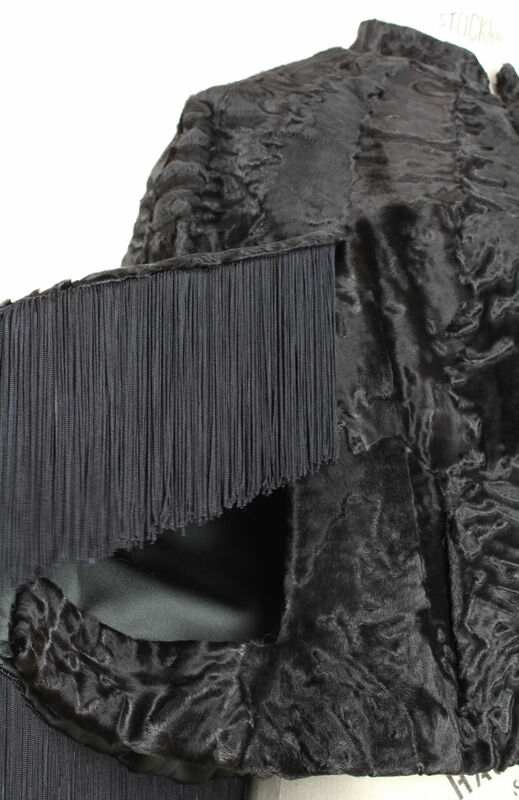 The cape is fully lined in black satin and closes with hook and eye at neck and bust. 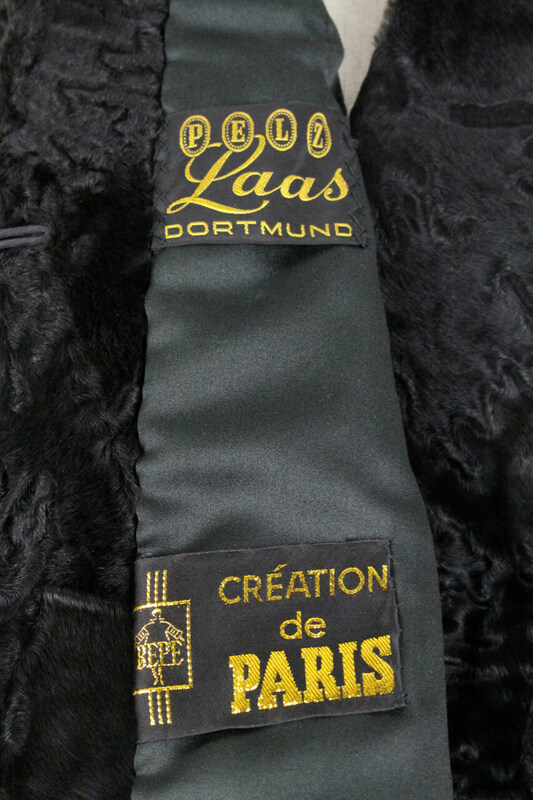 Labeled "BEPE CRÉATION de PARIS" and "PELZ Laas DORTMUND". 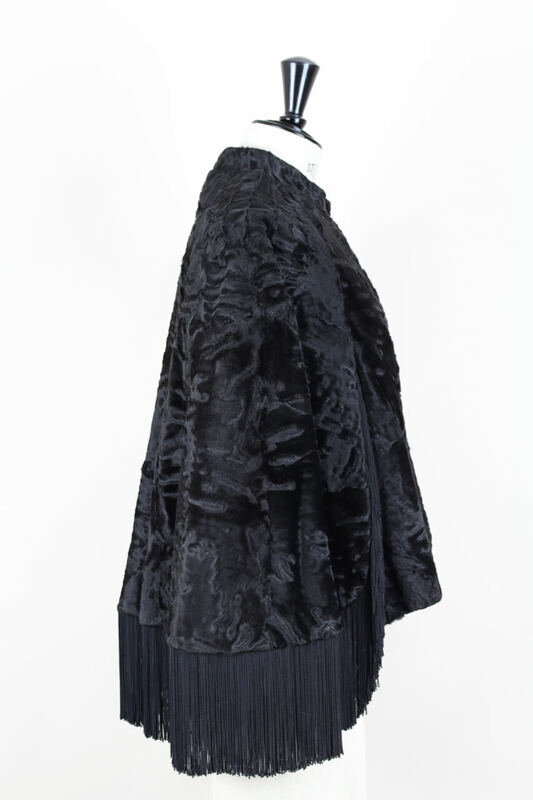 This cape is in excellent vintage condition. 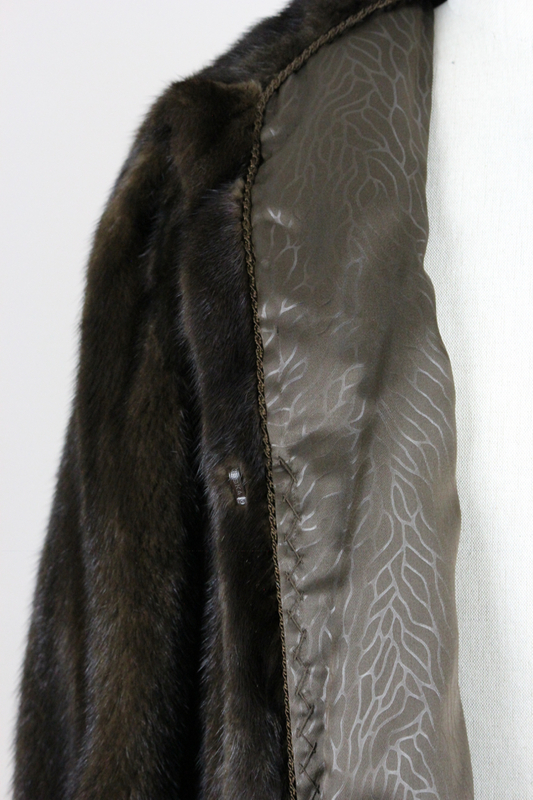 Appears to have been worn very little. 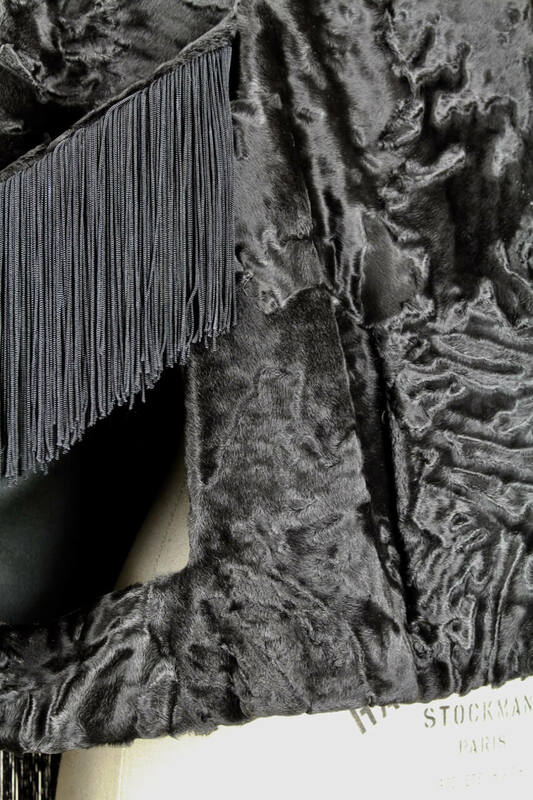 Impeccable inside and out. 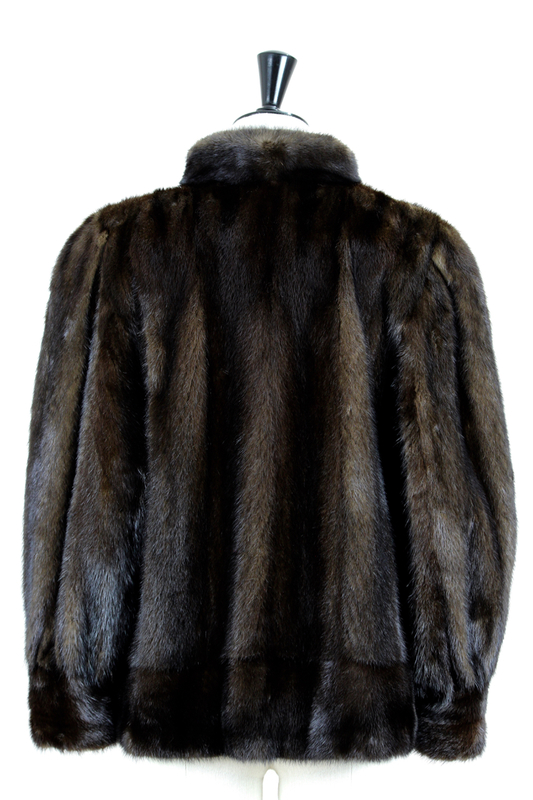 Front length: 54 cm – 21.3"
Measurements are taken flat and then doubled for bust. 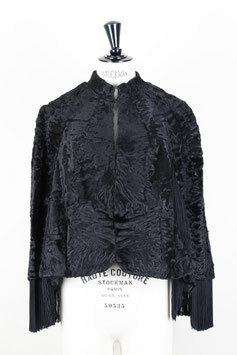 Should fit Small to Medium frames. 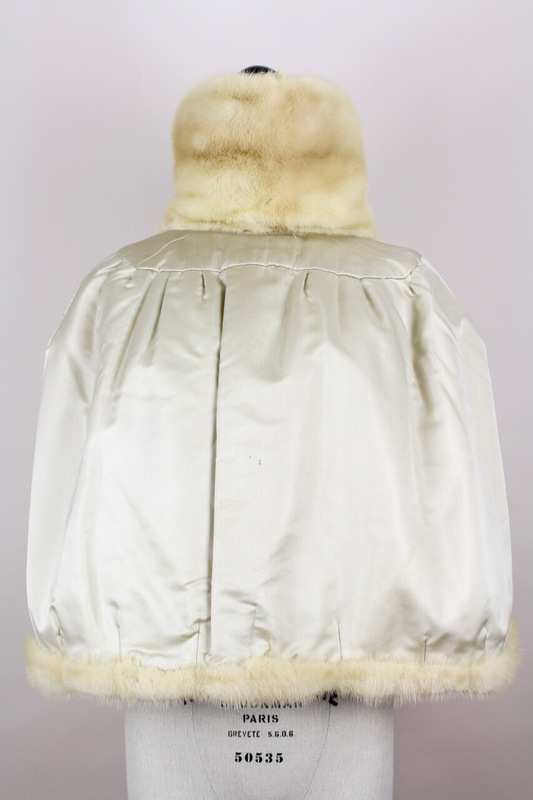 Amazing champagne-coloured mink fur cape with huge collar from the 1960s. 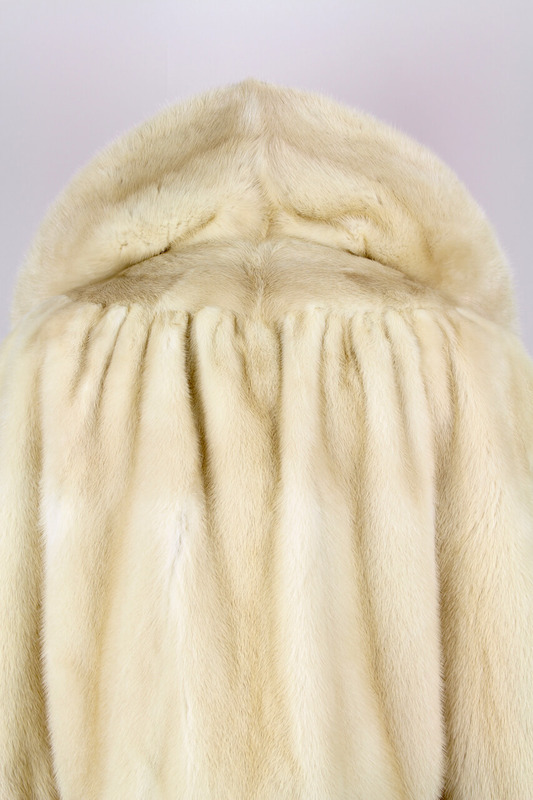 This lightweight cape is composed of champagne-coloured plush real mink fur. 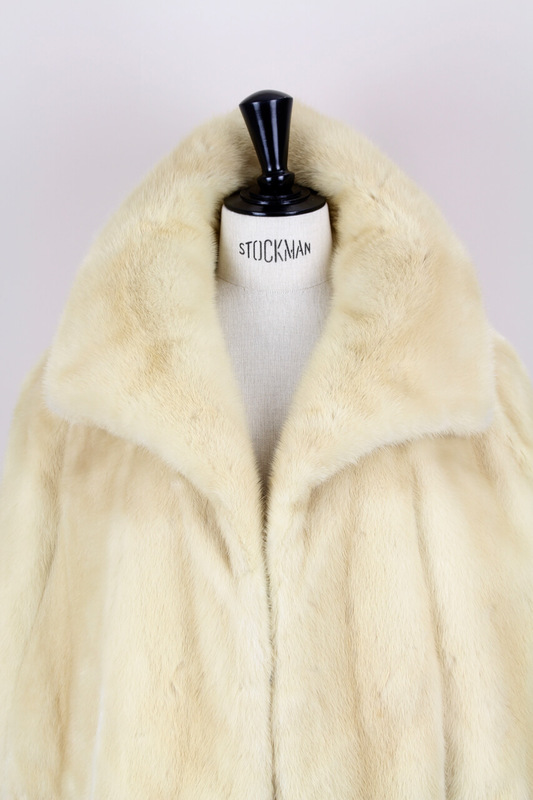 It features a huge fur backed collar which can be worn up or laying on top of shoulders, a gathered shoulder section and front slits for arms when closed. 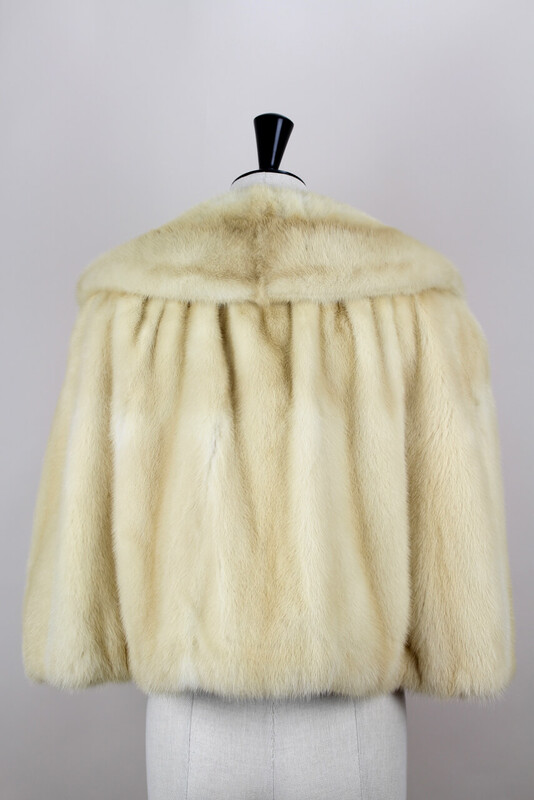 The cape closes with one hook and eye, has two hidden lined slit pockets at front and is fully lined in champagne-coloured silk satin. 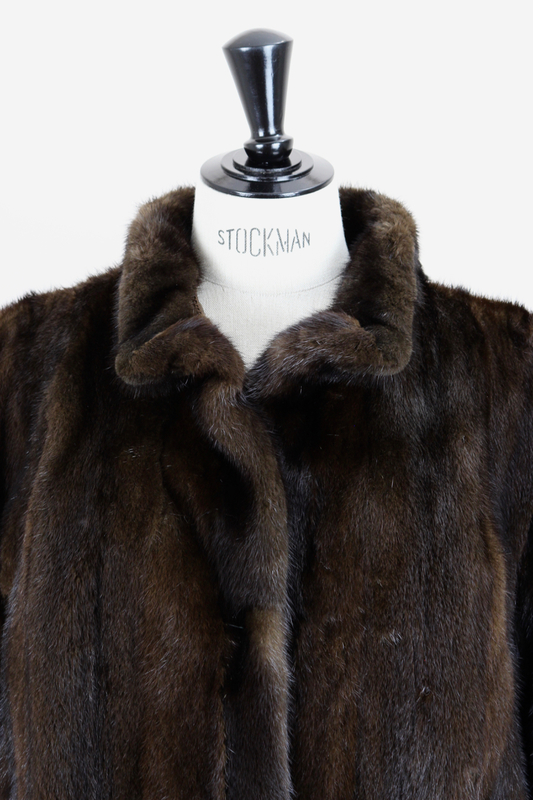 Into the left pocket there is the "Fur Label Authority" label sewn-in. 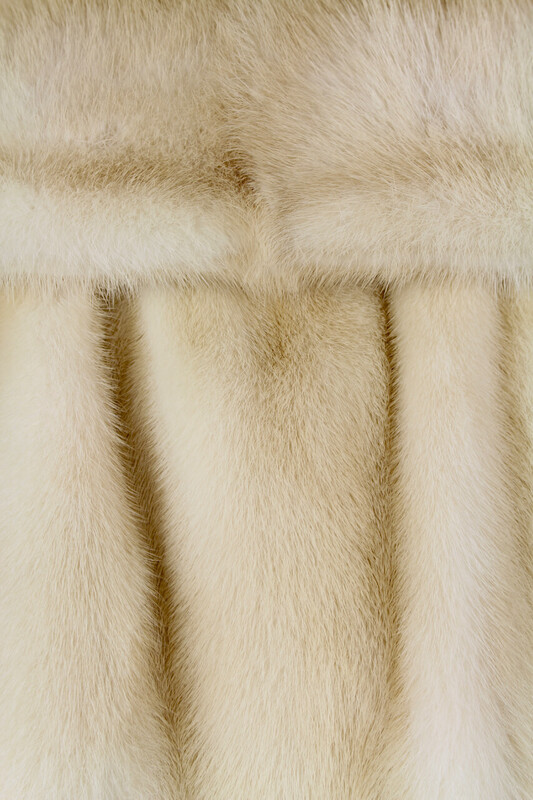 This label was added to fur garments for consumer protection since 1956. 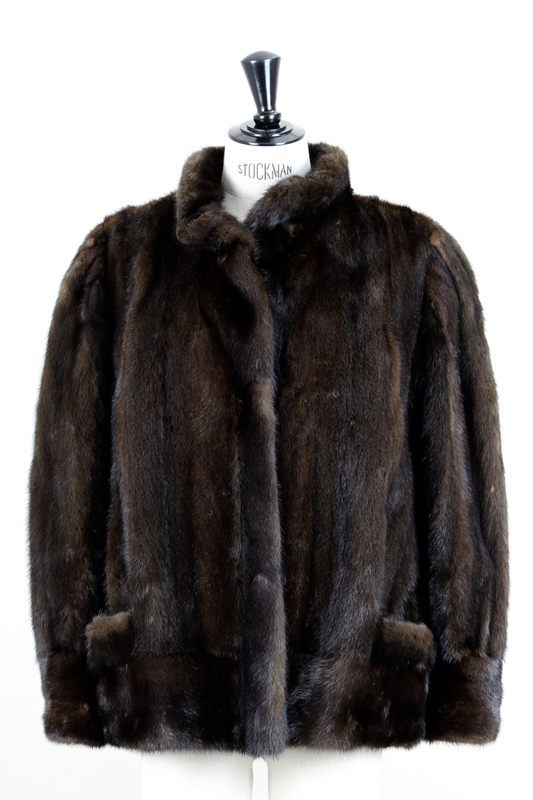 "It assured consumers that the furs complied with the guidelines set forth in the Fur Products Labeling Act and were manufactured under fair labor standards. 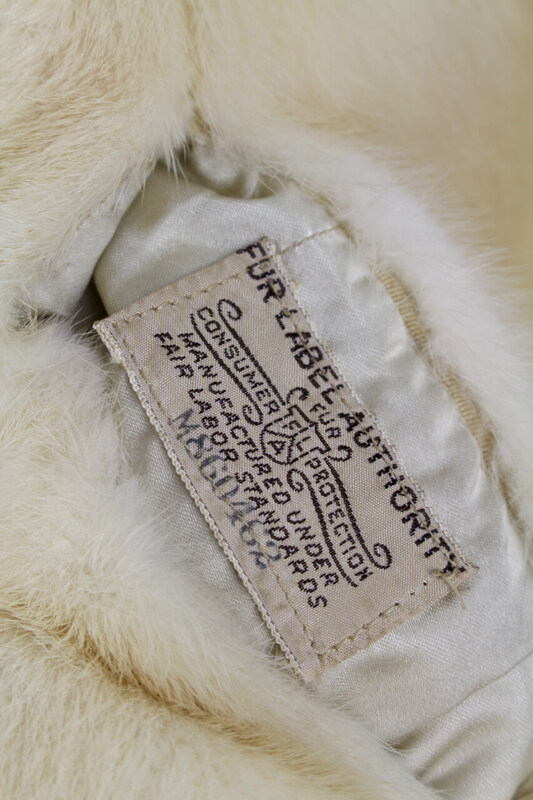 This label included an identifying number that matched the number on the invoice which again required the name and origin of the animal to be included" (courtesy of furwise.com). 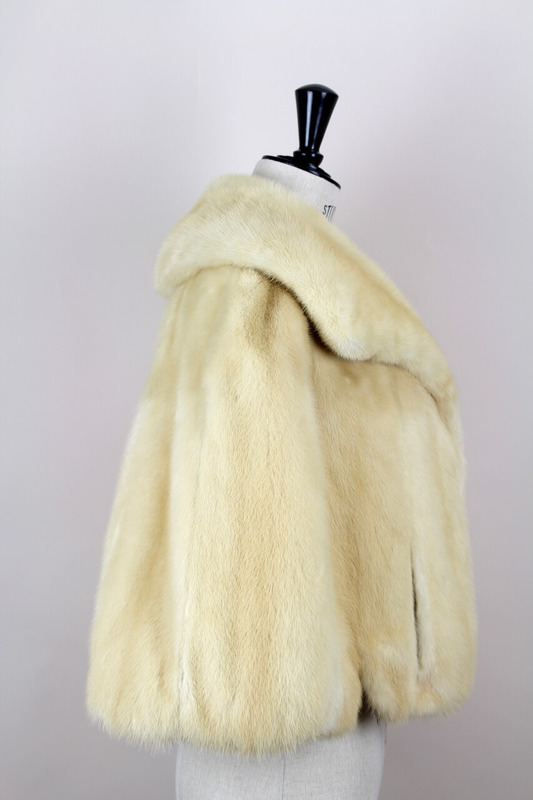 The cape ends approximately at the hip bone and has no monogram. 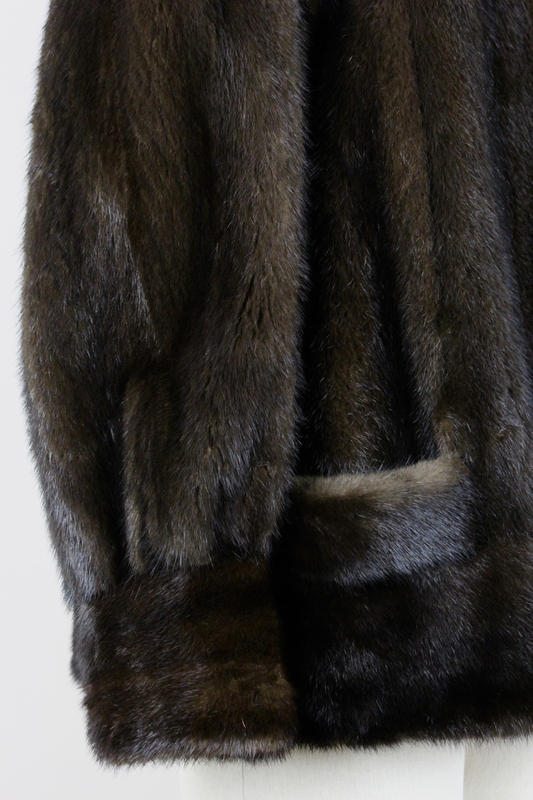 The fur is glossy, soft and supple. 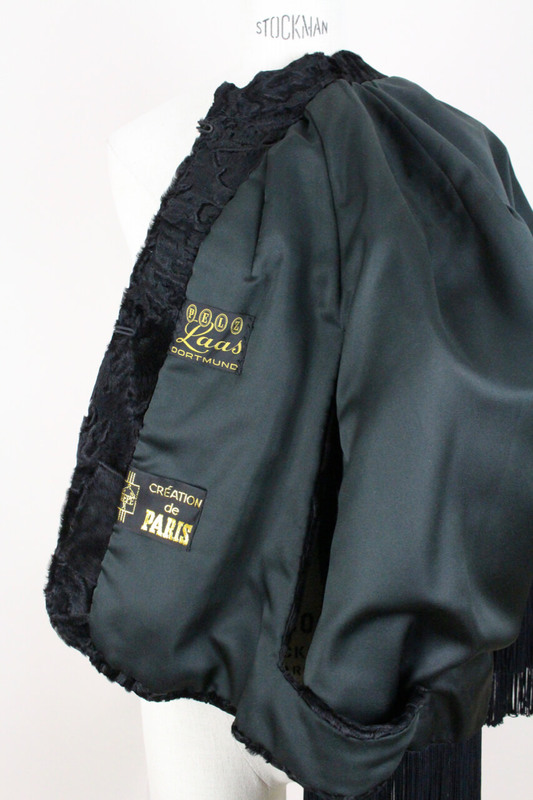 A very versatile piece – perfect for any formal event or wedding or to dress up a casual look. 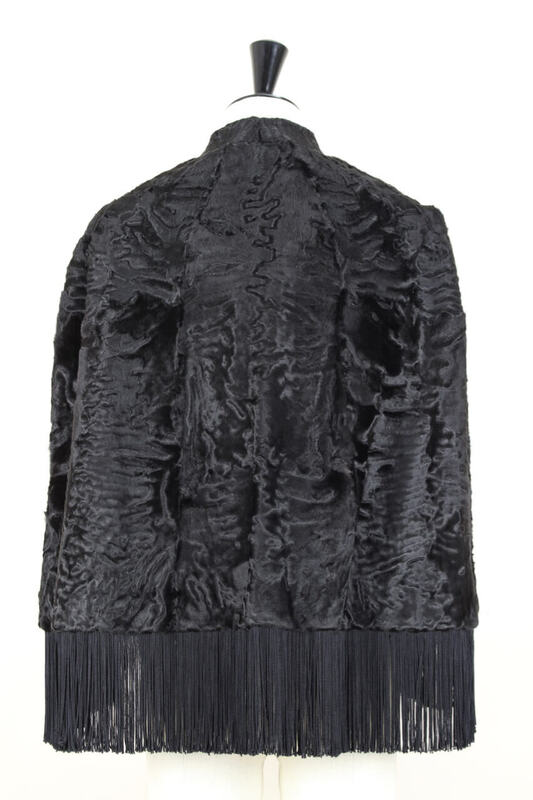 This cape is in excellent vintage condition. 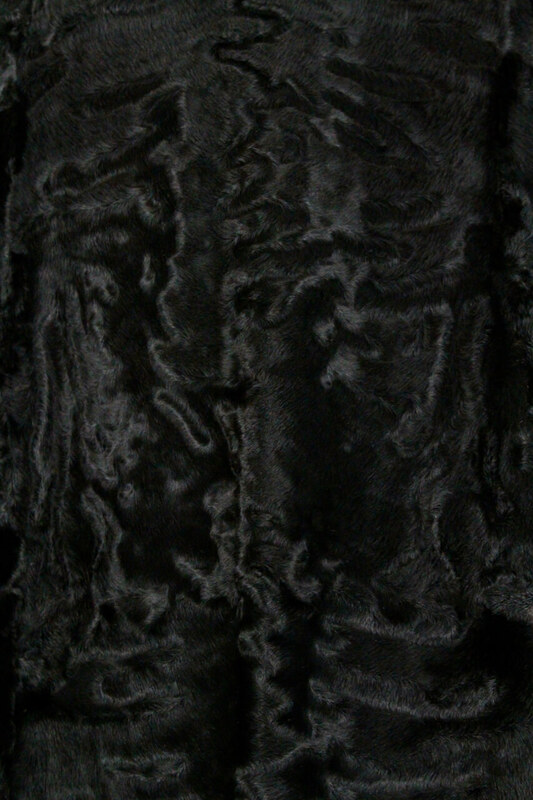 The lining is very clean with just a few tiny marks (see picture 8). Shoulders: 52 cm – 20.5"
Across at bust: 126 cm – 49.6"
Bottom sweep: 156 cm – 61.4"
Length: 50 cm – 19.7"
Measurements are taken flat and then doubled for bust and bottom sweep. 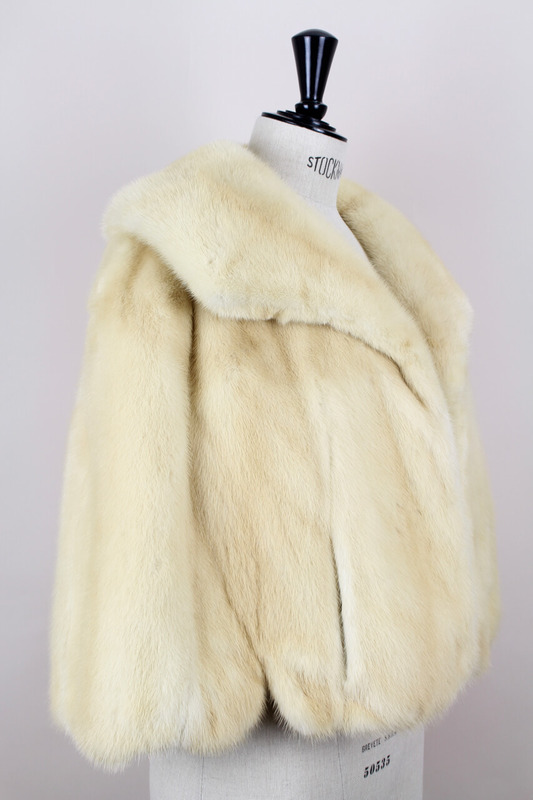 Smart casual mink fur jacket probably from the 1970s. 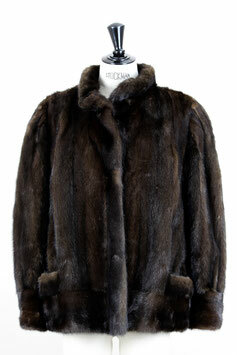 This hip-length straight-cut jacket is made from dark chocolate brown real mink fur. 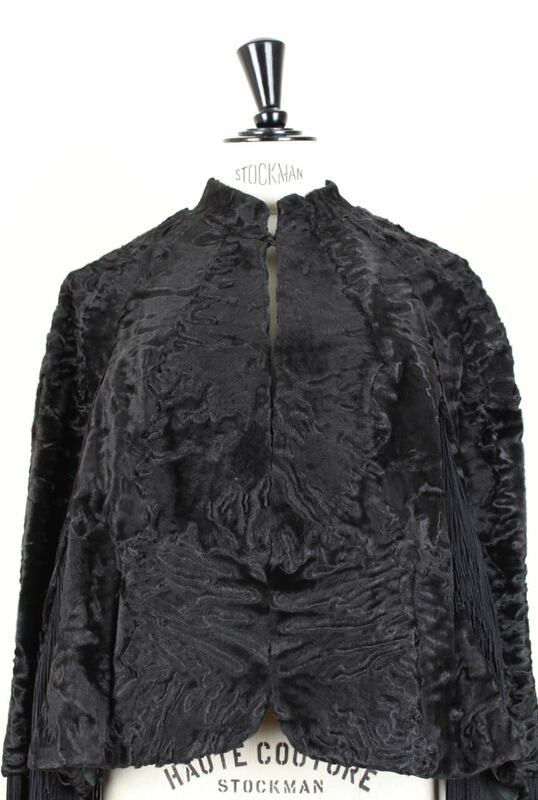 It features a stand-up collar, long roomy sleeves gathered in wide cuffs, two velvet lined patch pockets at hips and one hidden inner pocket. 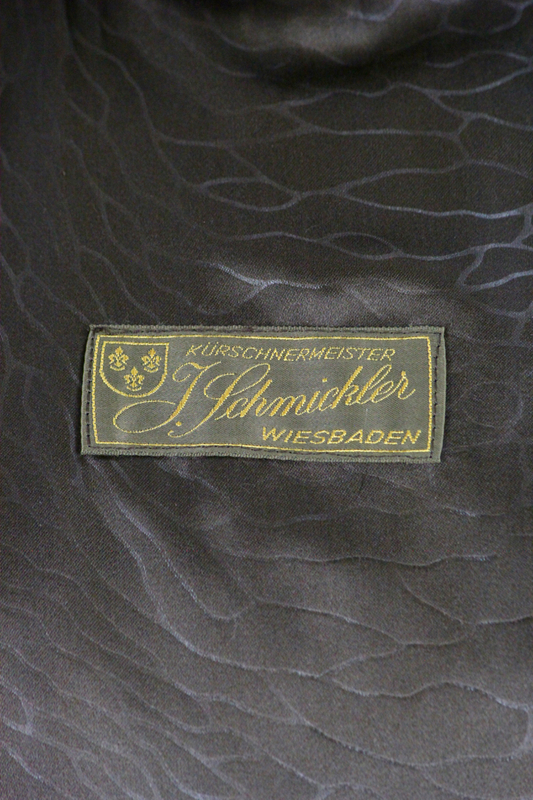 It is fully lined in an abstract patterned brown satin, closes with two concealed hinged furrier hooks and is labeled "Kürschnermeister J. Schmickler Wiesbaden" (Germany). 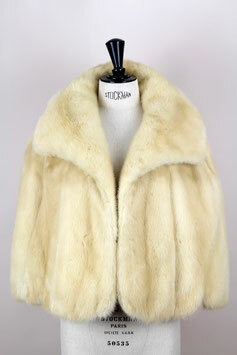 The fur is soft and supple. 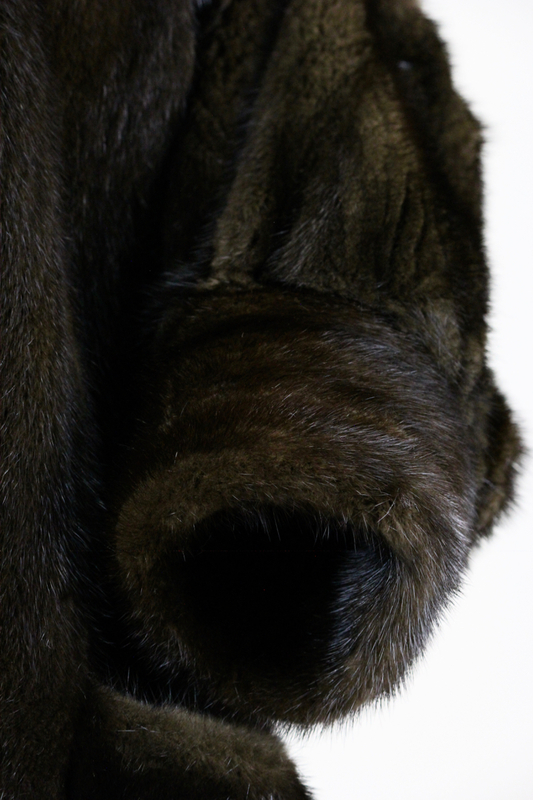 Please note: The brighter areas of the fur are just due to the light conditions, no abrasion. 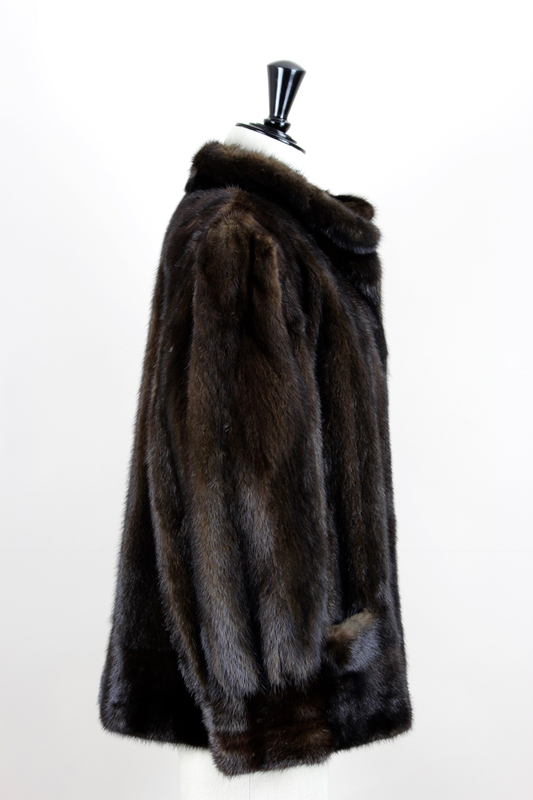 Kürschnermeister (Furrier) Julius Schmickler from Wiesbaden, Germany. This jacket is in excellent vintage condition. 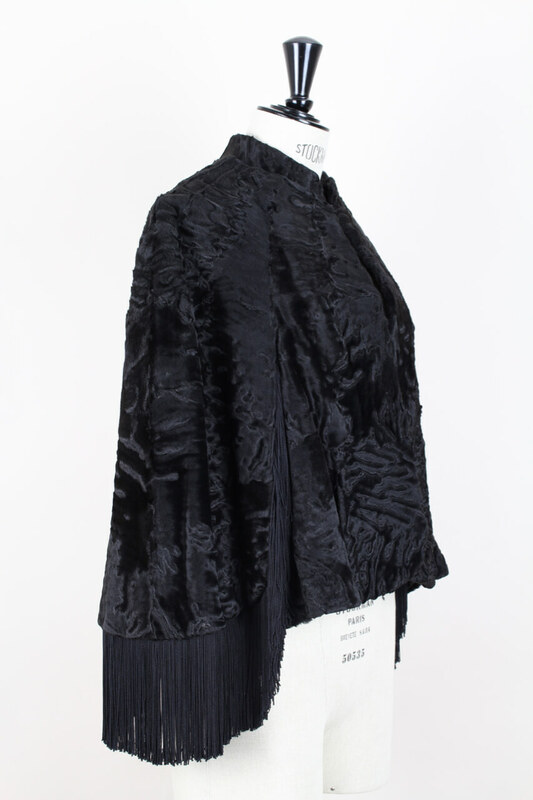 Bust: 104 cm – 40.9"
Waist: 118 cm – 46.5"
Hips: 120 cm – 47.2"
Sleeve Length: 61 cm – 24"
Length: 68 cm – 26.8"
Measurements are taken flat and then doubled for bust, waist and hips.